Happy Easter friends! I have always loved Easter Sunday. When I was growing up it was a day of pretty dresses, church, family, and too much food. My mother would always go to the nines with ham, corn casserole, broccoli salad, green beans, and of course adorable Easter baskets filled with fun goodies. I have a few memories of the desserts we would eat, certainly Buttermilk Pie would make an appearance, along with my mom’s famous peanut butter fudge, and sometimes we would go to a family friends for lunch and an Easter egg hunt, and I specifically remember Ms. Saundra’s incredibly decadent caramel cheesecake. But this blog isn’t about any of those things. 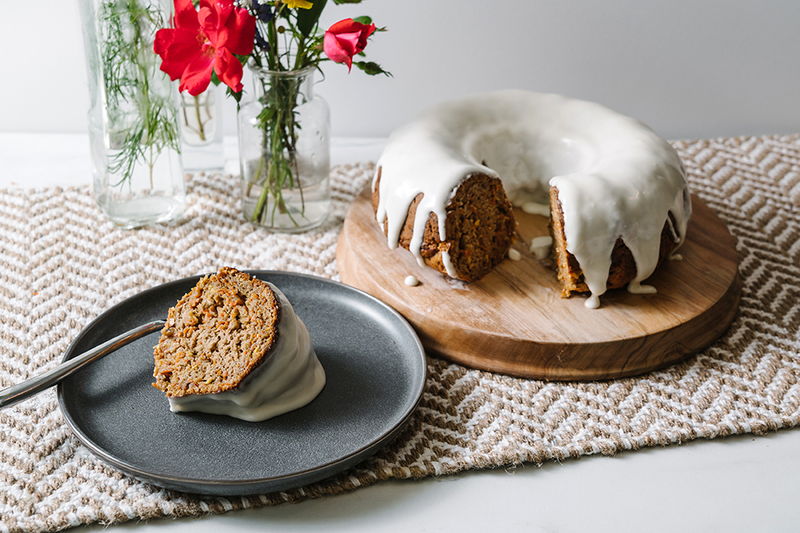 This Gluten Free Carrot-Coconut Bundt Cake is one I claim as my own. 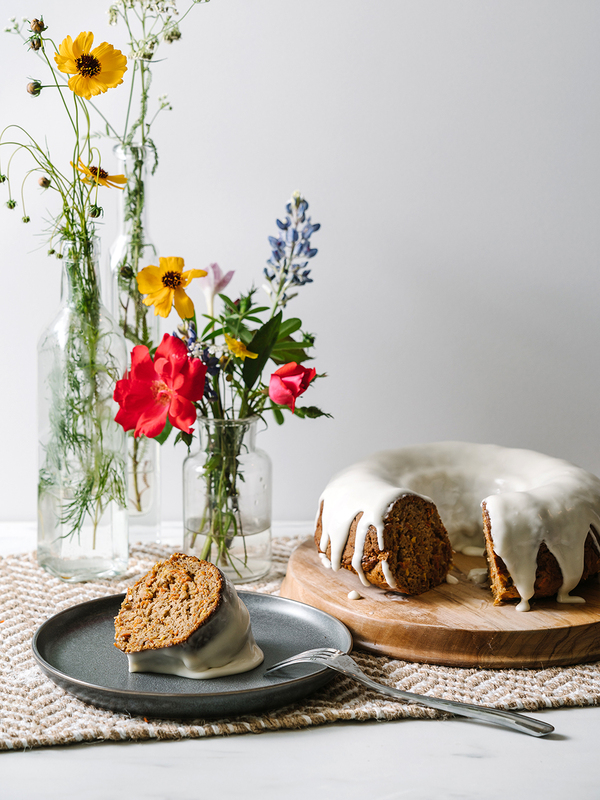 I made a carrot cake last year with my mom and have been working on this recipe ever since. 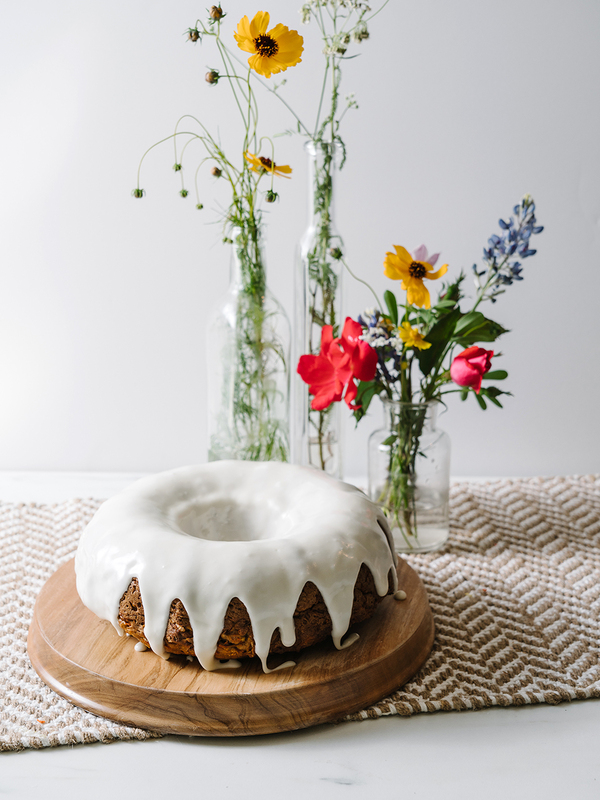 I will now until forever make this perfectly moist Gluten Free Carrot Coconut Bundt Cake for Easter. 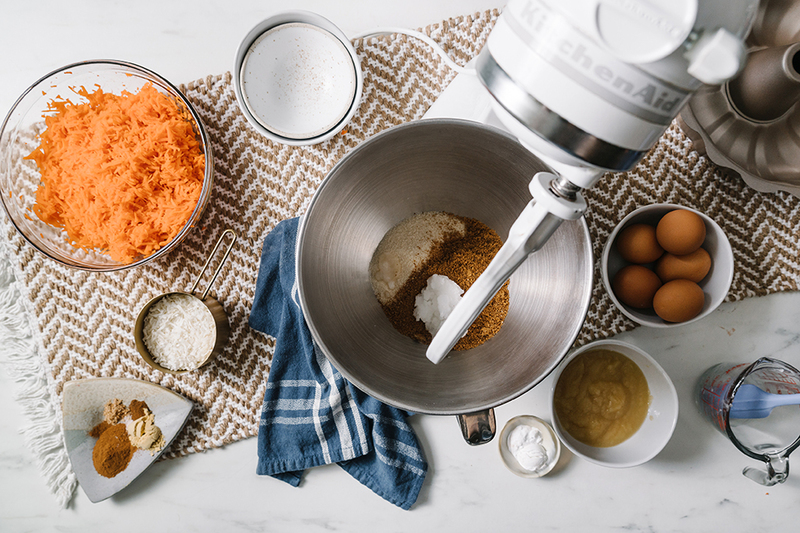 Okay, so I didn’t invent carrot cake, it’s true, but my recipe has a few slight differences. First is the obvious–coconut! 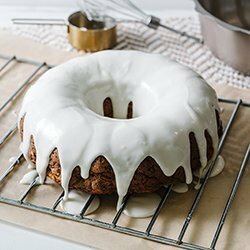 There’s just something about a little coconut flavor that really rounds this cake out. Plus, it adds an additional layer of texture, which I love. 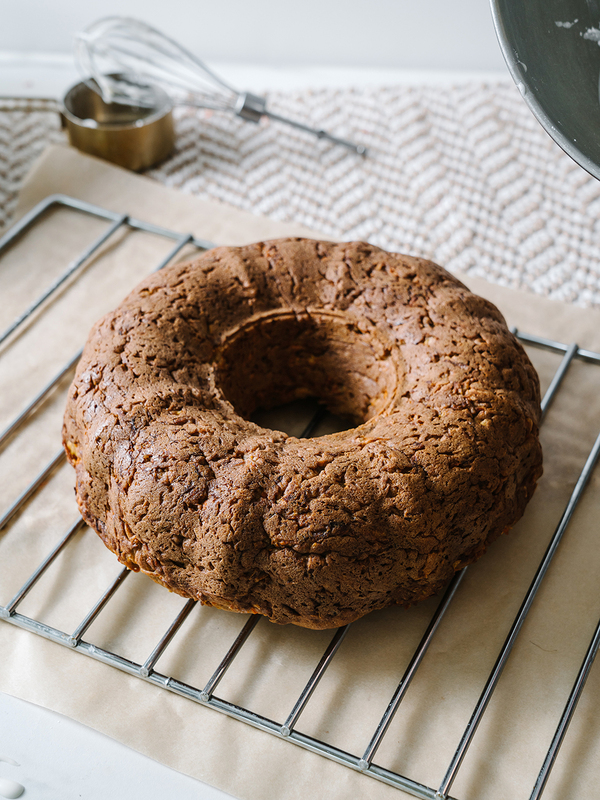 The other difference is my super secret ingredient for making a moist gluten free cake, well I guess it’s not a secret anymore… it’s applesauce. It’s exactly what a gluten free cake needs to bring that much needed moistness without making it too dense. 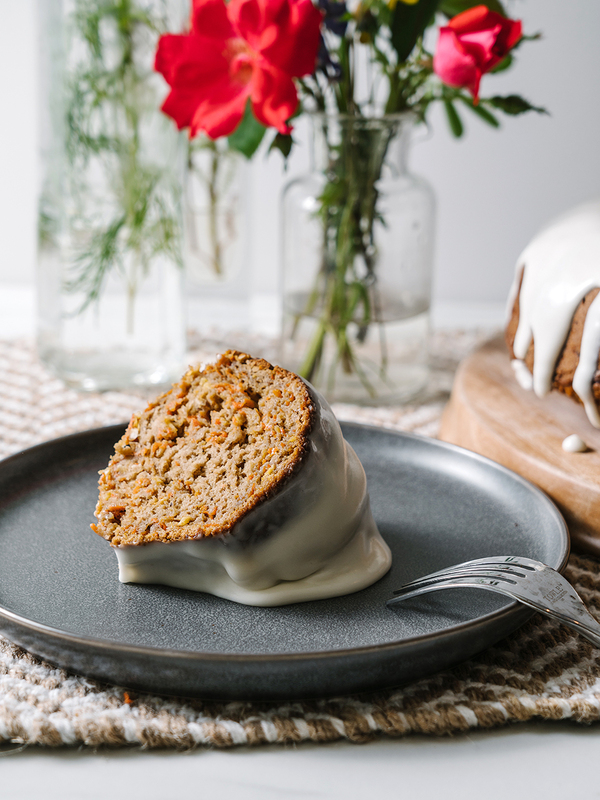 This super moist carrot cake combined with the warm spices and topped with tangy cream cheese icing is the perfect combination of flavors. 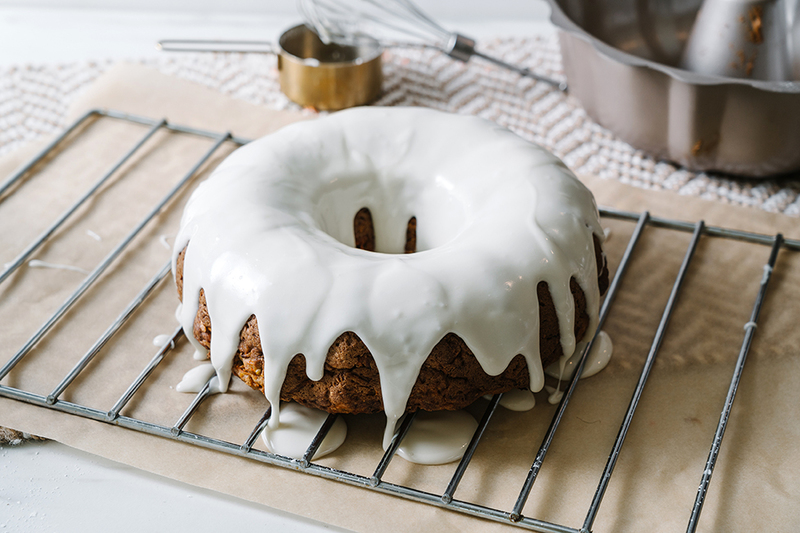 Set oven to 350 degrees F and grease a 9” bundt pan. Combine sugar and coconut oil and mix on med, then add apple sauce until well combined. Add eggs one at a time while mixing on low. Add coconut extract and mix on medium for 30 seconds. Sift all dry ingredients into a seperate bowl. Then slowly add to mixer, scraping down the sides as you go until a stick dough forms. 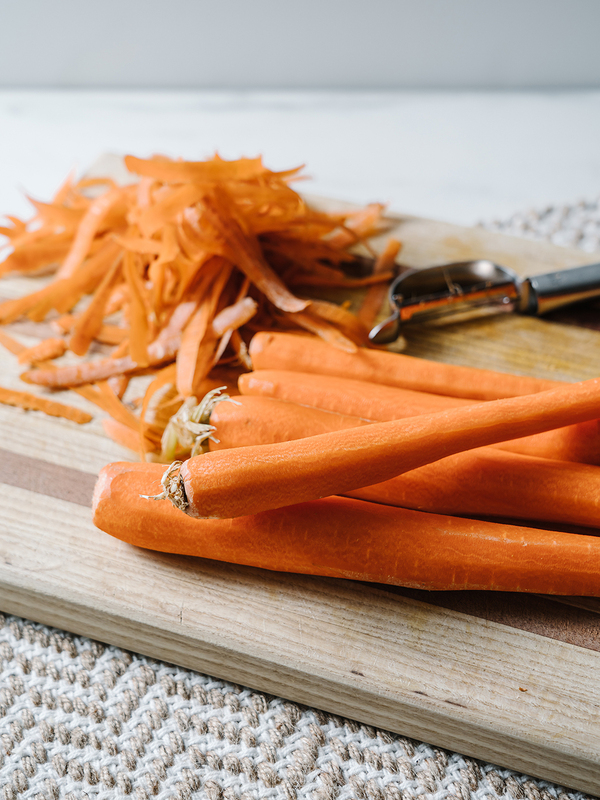 With a spatula, fold in carrots and coconut (batter will be sticky). Scrape batter into bundt pan, smoothing out so that it is evenly distributed in the pan. 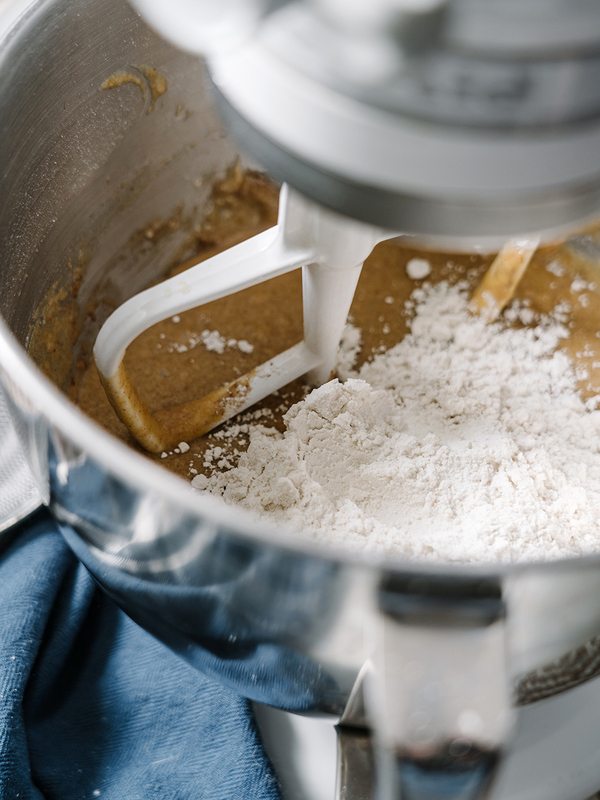 While it bakes whisk all the wet icing ingredients together, then sift the powdered sugar in whisking until smooth. 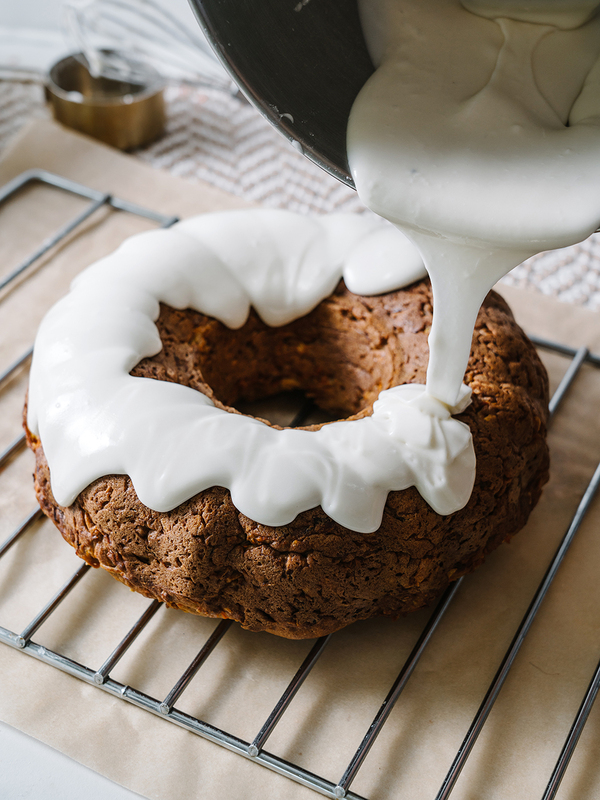 Let the cake rest in the pan for a minimum of 10 minutes (this will help release it from the pan). Turn the pan over on a platter gently and pull pan off slowly, using a butter knife to help remove any stuck portions if needed. 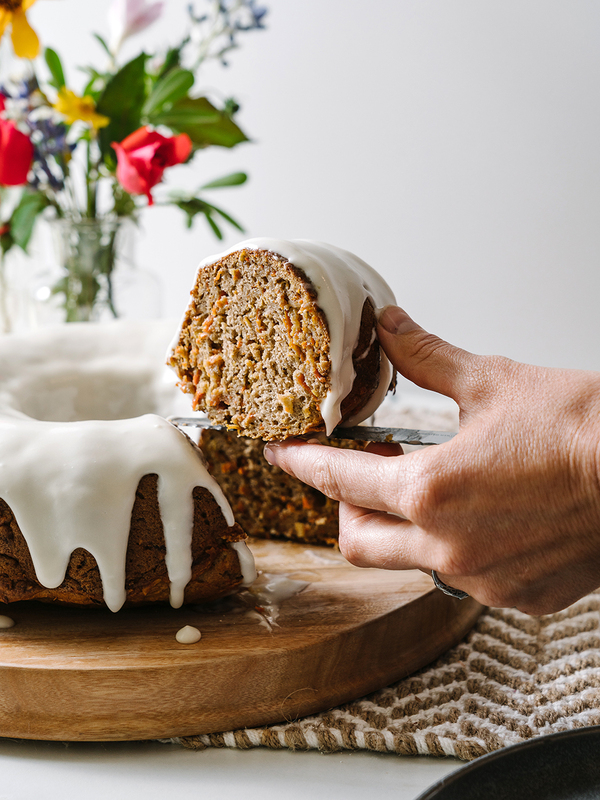 This can be prepared the night before, just wrap the cooled cake in plastic wrap and ice before serving. This looks so good! I might have to make it for Easter! This looks delicious! I will have to give it a try but hopefully, mine looks as pretty as yours. Send me a pic on IG! I want to see!